Good nutrition is one of the elements to a long and healthy life. We all understand we can improve our health by following a balanced diet containing vitamins, minerals, healthy fats and carbohydrates as well as roughage. It is easy to become confused and overwhelmed by the amount and variety of information available on the internet, so we suggest being realistic with healthy eating and not too critical of the occasional treat. We also know that It can be hard to change our eating habits, so it helps to develop a strategy which will help us focus on our goals. Making changes to our diet may also be beneficial if we have a disease or condition which is made worse by consuming the wrong foods. Symptoms from conditions such as kidney disease, lactose intolerance, and celiac disease benefit from changes in diet. Below are suggestions to improve your health. Be sure to stay in touch with your doctor so they know how you are doing. Keep a daily food diary. This record will help you assess your diet. You’ll see if you need to eat more, or less from certain food groups. Note in your diary concentration, hunger, sleep quality and stress levels. Exercise – Many benefit from starting a regular exercise program which could be as simple as walking for at least an hour a day. Set a realistic goal for your circumstances and stick to it. 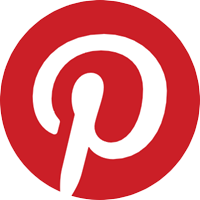 Personalised Plan – If you are confused and need help think about reaching out to a professional dietitian or nutritionist. They can help you follow a special diet, especially if you have a health issue. 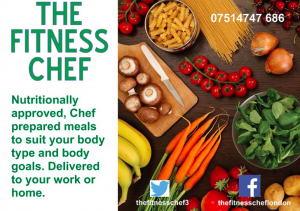 The Fitness Chef can provide you with healthy meals to meet your goals and recommend a meal plan tailored to your needs. We understand the importance of a balanced diet and make healthy eating options available to busy London workers. We produce fresh, nutritionist approved dishes tailored to your requirements which can be delivered to your home, gym or office, or picked up from our kitchen based in the City Point Building, Moorgate. For anyone who needs a more bespoke meal plan we are more than happy to provide a tailor-made service please contact us by Email.